Pumpkin Mac and Cheese is so tasty and easy to prepare! Even my non-pumpkin fan son, I know, there are those who do not share our love of pumpkin!! Well he loved this pumpkin mac and cheese! Pumpkin pasta recipes are perfect for fall dinners! This pumpkin meal delivers a creamy, cheesy comforting meal. This post canned pumpkin in conjunction with #PumpkinWeek . I received product samples from sponsor companies to aid in the creation of the PumpkinWeek recipes. All opinions are mine alone. It is Fall my friends and we are celebrating #PumpkinWeek, so enjoy the unique flavors of this Pumpkin pasta dinner! This is an easy pumpkin recipe! The pumpkin puree adds a great layer of flavor and its also full of nutrients! The pumpkin puree adds a fantastic creaminess to the mac and cheese! Also adding some savory spices makes an amazing cheese sauce to make a delicious pumpkin mac and cheese! We are in full swing of #PumpkinWeek! Monday, I shared with you my Harvest Pumpkin SoupI hope you enjoy it! I hope you let me know when you make the soup. Today I’m sharing a really fantastic fall/ winter favorite, Pumpkin Mac and Cheese! I am such a fan of pairing pumpkin with pasta! If you haven’t had it before, now is your chance. As you know, I usually like easy prep recipes and this pumpkin dish is no different, easy! Can fresh pumpkin puree be used to make pumpkin pasta recipes? Absolutely! We are only beginning to get fresh pumpkins at the farms where I live. I love making homemade pumpkin puree. Either canned or fresh pumpkin can be used. This recipe calls for pumpkin puree which is cooked pumpkin that has been pureed. Pumpkin Pie filling has spices and sweetener added to it. Some use it for a quick pumpkin pie * use pumpkin puree. PLEASE! 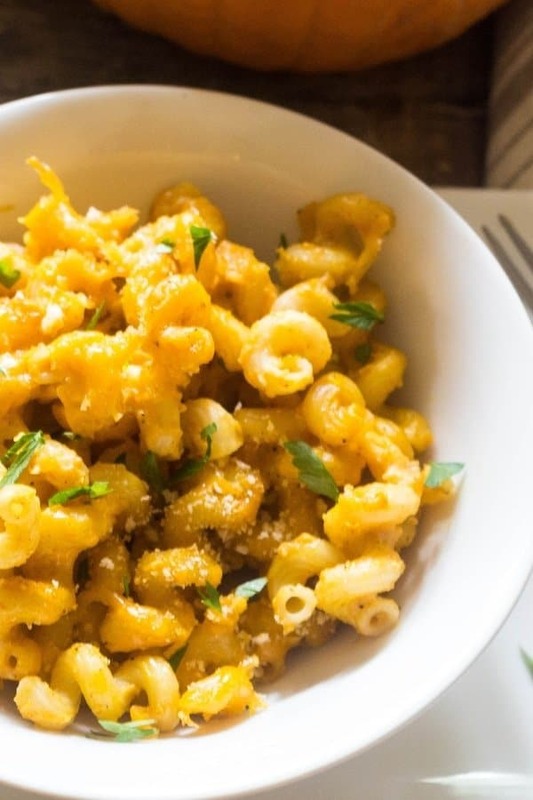 How long can you keep Pumpkin Mac and Cheese in the fridge or freezer? Keep the pumpkin pasta in the fridge for up to 2 days, well covered. 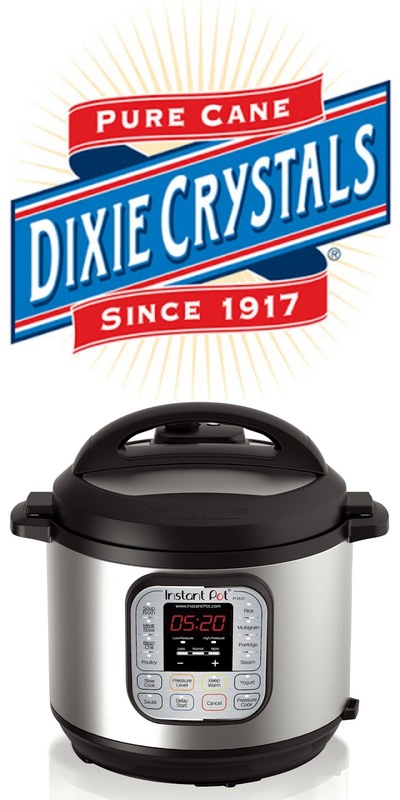 You can freeze the leftovers in a well-sealed freezer safe container. Can other winter veggies be used to make this Mac and Cheese besides pumpkin? Butternut squash and acorn squash are both great substitutes in this recipe. I use the same amounts of either squash to make this mac and cheese. As Pumpkin Week continues, I have to again thank Love and Confections and A Kitchen Hoor’s Adventure. Setting up this event and giveaways is no easy feat and they did an excellent job! The giveaways are absolutely awesome! Everyone, please enter and good luck! As we continue #PumpkinWeek 2018 hosted by Love and Confections and A Kitchen Hoor’s Adventures! This year is even bigger and better than ever with a giveaway! Thirty-nine bloggers from around the country are showcasing their best pumpkin dishes. Get ready for Fall with over 130 pumpkin recipes throughout the week including cocktails, main courses, pizzas, pasta, pastries, bread, muffins, and plenty of desserts! Our PumpkinWeek Sponsors are helping us give away some great prizes. Thank you so much, Sponsors, for your generosity. We have an incredible giveaway below and we’d love if you would take a moment to read about it and what you can win. Welcome to #PumpkinWeek 2018 hosted by Love and Confections and A Kitchen Hoor’s Adventures! This year is even bigger and better than ever with a giveaway! Thirty-nine bloggers from around the country are showcasing their best pumpkin dishes. Get ready for Fall with over 130 pumpkin recipes throughout the week including cocktails, main courses, pizzas, pasta, pastries, bread, muffins, and plenty of desserts! Our PumpkinWeek Sponsors are helping us give away some great prizes. Thank you so much, Sponsors, for your generosity. We have an incredible giveaway below and we’d love if you would take a moment to read about it and what you can win! Make pasta according to manufacturers directions, decrease cook time by 2 minutes because this goes in the oven. 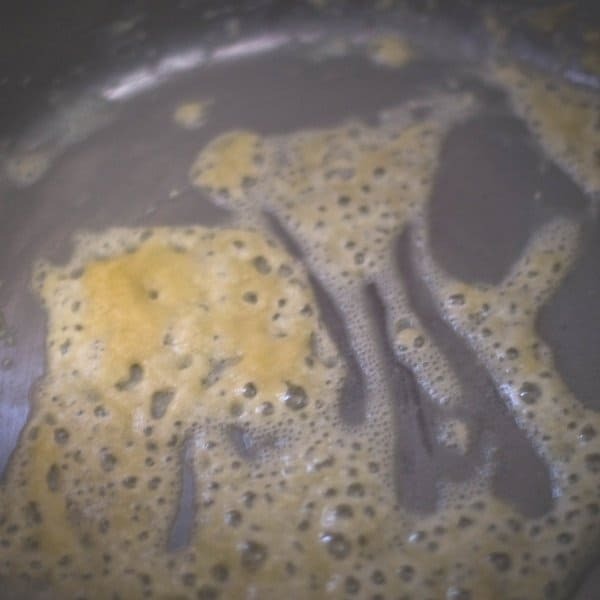 Heat butter in large pot, add flour to make a rue. Whisk to smooth and the color becomes gold, this gets the raw flour taste out. Add in the milk and whisk until the rue is bubbling. 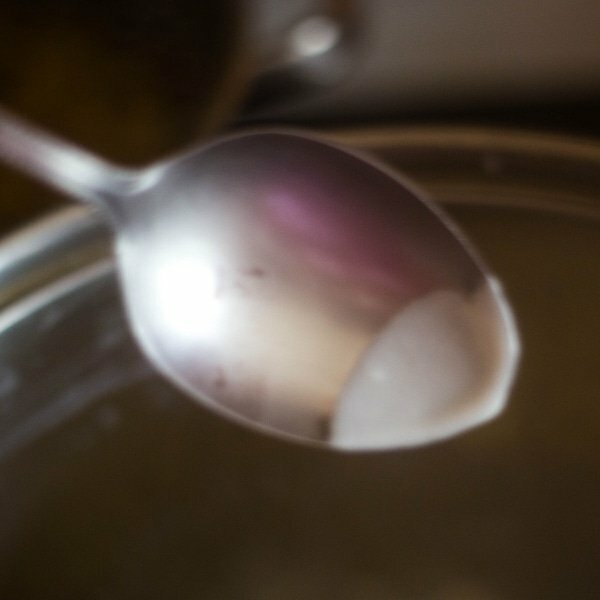 The thickness of the rue should be able to coat a spoon. Add in the pumpkin puree, cheese, and spices Mix well. Combine the pumpkin mix and pasta in a casserole. Sprinkle with Panko Breadcrumbs. Cover with foil. Bake at 350 for 30 minutes. Eat and enjoy! A creamy fall favorite is Pumpkin Mac and Cheese. The pumpkin puree adds creaminess to the cheese mixture making this a fall/winter favorite casserole. Preheat oven to 350 degrees. Make pasta according to manufacturers instructions. Set pasta aside. In a 13 by 9 casserole pan, spray with non-stick spray. Set aside until ready to use. In same pasta pot, add butter to melt. Add in flour, whisk together to form a rue. Add in the milk. 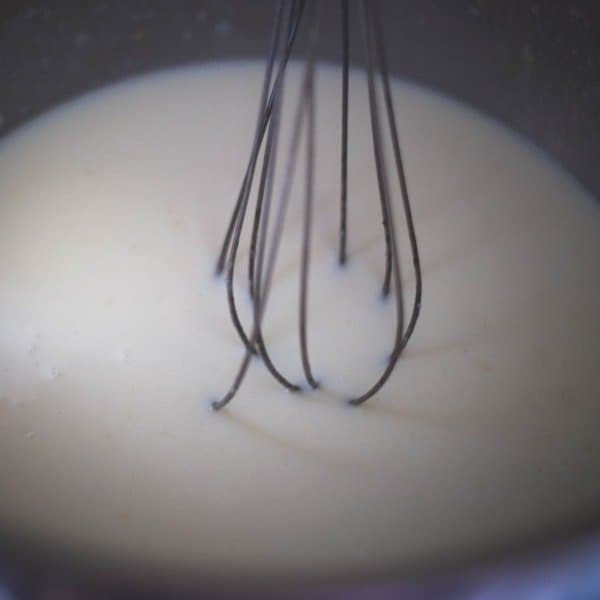 Continue to whisk until the mix becomes thick and bubbly. Add in pumpkin puree and whisk to combine. Add into the pumpkin mix the cheese, Dijon mustard, Kosher salt, black pepper, and allspice. Add in the cooked pasta, mix well. To the seasoned casserole add the pasta pumpkin pasta. Top with Panko breadcrumbs. Cover casserole with foil. Bake at 350 degrees for 30 minutes. Serve, enjoy. Note 1: For this recipe I used cellentani. Any tube pasta works well. Note 2: Cabot butter is my go-to for any recipe. Note 3: Gluten-Free can be used. Note 4: Please use pumpkin puree, not pumpkin pie filling. 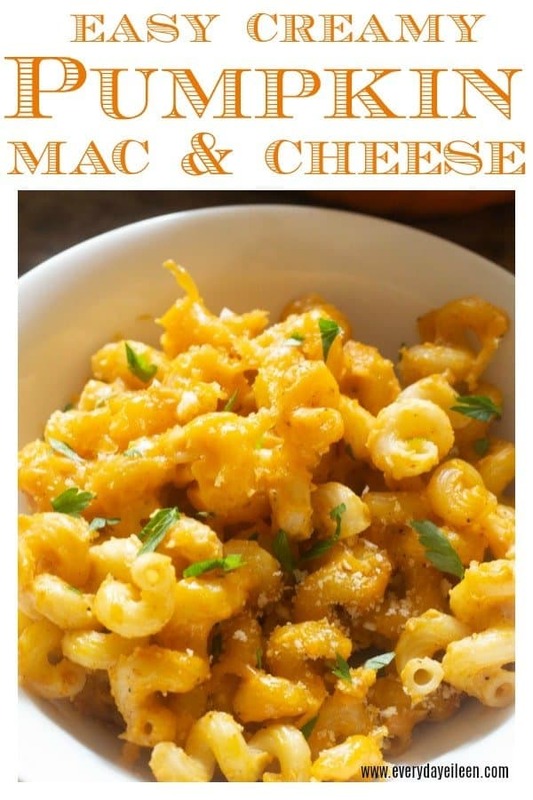 I’ve never heard of pumpkin mac and cheese before until I came across your recipe. I might try this out over the weekend. Thanks for sharing! Well, pumpkin pie would definitely be my favorite. Though I have had some other great ones – pumpkin lasagna, chili, any dessert! I love pumpkin pie too! Thank you so much for taking time to comment! I appreciate it very much! Thank you so much Wendy! I hope you enjoy!